Dr. Saxton is VERY personable and an extremely talented professional. At my initial consult, he spent a half hour just getting to know me as a person, asking about my work, my interests in life, my family, etc. Our initial meeting lasted well over one hour. Once surgery was scheduled, his secretary was extremely helpful and reliable with answering any questions, whether it be regarding scheduling preop testing or status of insurance coverage. Dr. Saxton called me about a week before surgery just to say hi and to ask if I was ready for the big day! He also called me a week after I was discharged to check up on me and encouraged me to call him directly on his personal cell if I had any questions or concerns, saying he knew me best and could immediately assist instead of leaving a message with the office. Although he is primarily a pediatric surgeon, about 30% of his patients are adults and he still sends these older patients to the pediatric floor post-op, where the nursing staff is very familiar with the procedure and his pain protocols. They pre-medicated me with IV and oral meds before dialing down my epidural to ensure appropriate pain control. My pain spiked briefly to a 7-8 only twice in the hospital and was managed within minutes. The staff was PHENOMENAL--they knew their stuff! I can't say enough good things about my hospital stay. Since discharge, I have been in constant communication with him. I had one instance of increased pain/spasm at home, and after this he spent 45 minutes with me to rearrange my meds to continue to keep me comfortable. There was absolutely no feeling of him being rushed or needing to get elsewhere. I have called him on a Saturday with a question, expecting a call back Monday during business hours, and he instead called back 2 hours later! Dr. Saxton has been doing the Nuss for over 15 years and this experience definitely shows. I would recommend him in a heartbeat!! He is an artist in the OR and incredibly kind in person. I am extremely happy with my results and my new life. He is easy to get in touch with and is a down to earth person who truly loves his work and the positive way it changes his patients. Dr. Saxton is extremely knowledgeable at the Nuss procedure. He's been doing it for 15 years. He is great at coming up with quick solutions to complex problems. He seems to know what to do in just about every situation. I would definitely recommend him both for the Nuss procedure, or any type of pediatric surgery. 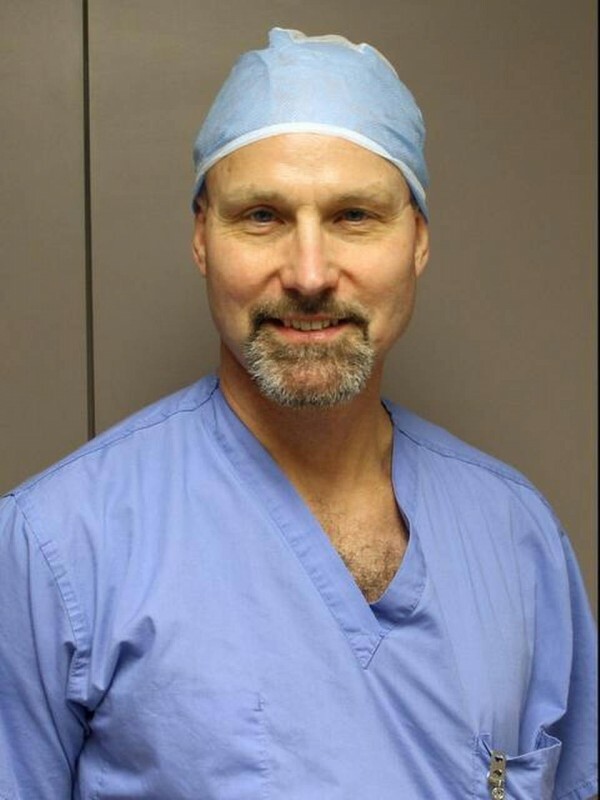 He is primarily a pediatric surgeon, but performs the Nuss procedure on people well into their 40's. I'm 33, and he did a great job on me. He is easily accessible, giving me his personal cell number to call him with questions or concerns at any time. He also called me on several occasions to see how I was doing. He called me several hours after discharge just to make sure I made it home with no complications. On one occasion, I called him with questions on a Saturday, and he spent time talking to me while picking his son up from a ski hill. Dr. Saxton cares enough about his patients' comfort level that he will take time out of his weekend to answer questions if need be. His hospital, Gundersen Lutheran, is rated a center of excellence for the Nuss procedure. Since 2005, more Nuss procedures have been performed at Gundersen Lutheran than at any other hospital in the upper midwest. If you live in the midwest and are considering the Nuss procedure, I would highly recommend having a consult with Dr. Saxton. La Crosse, WI is located in west central Wisconsin. It is approximately a 5 hour drive from Chicago, 3 and a half hours from Milwaukee and about 2 and a half hours from the Twin Cities.